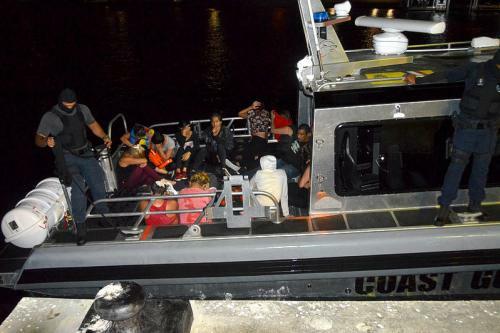 WILLEMSTAD - Last night, just after 12 o'clock, the coast guard intercepted a boat with 28 Venezuelans on board. That happened almost 10 kilometers from the coast at Daaibooi beach. The 17 men and 11 women had no documents with them and were turned over to the police.